Since 2015 KTM has run a commuter train between Johor Bahru and Singapore. 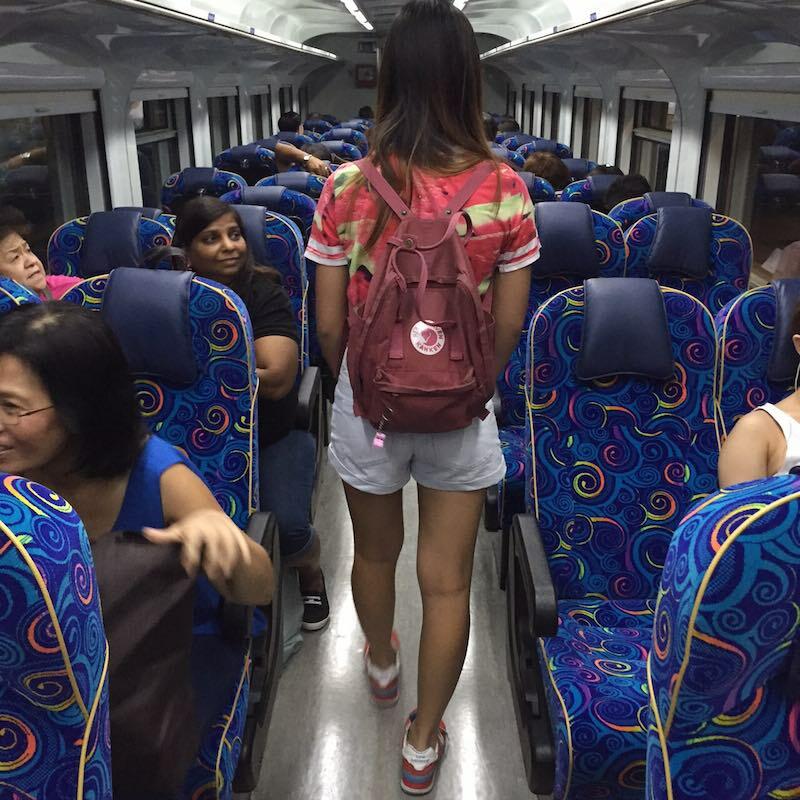 The trains run from JB Sentral to Woodlands in Singapore (and the reverse). The cost is much higher from Singapore to JB. For whatever reason that is how the buses are priced too, the price is for example 5 MYR from JB to Singapore and Sing$5 from Singapore to JB. Since 1 Singapore dollar is 3.1 MYR that makes the price much higher from Singapore. The train ride itself takes under 10 minutes. The schedule is subject to change but runs more frequently in the morning (from JB) and in the evening (from Singapore) and infrequently during the day. It is geared toward commuters from Johor Bahru to jobs in Singapore which is why the times may seem a bit odd at first glance. Remember you have to pass through customs before getting on the train. 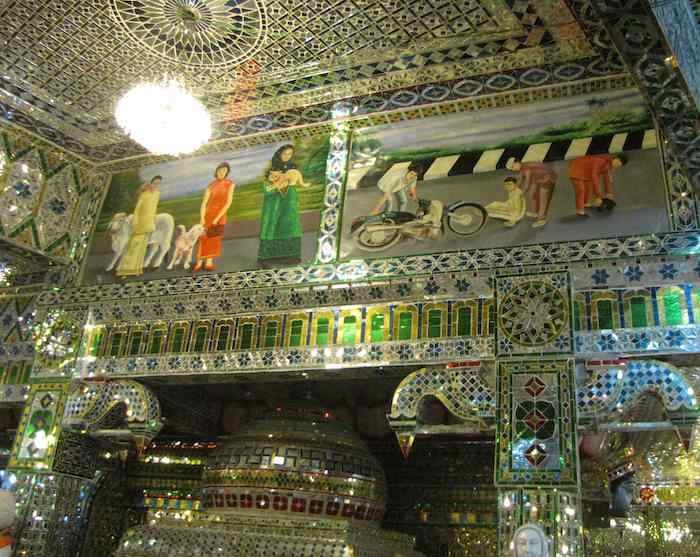 They have made the process faster by having you go through both country’s customs office before boarding the train. With the bus you have to go through customs, go over the bridge, then get off the bus and go through customs again and then get back on the bus. This obviously wastes time. 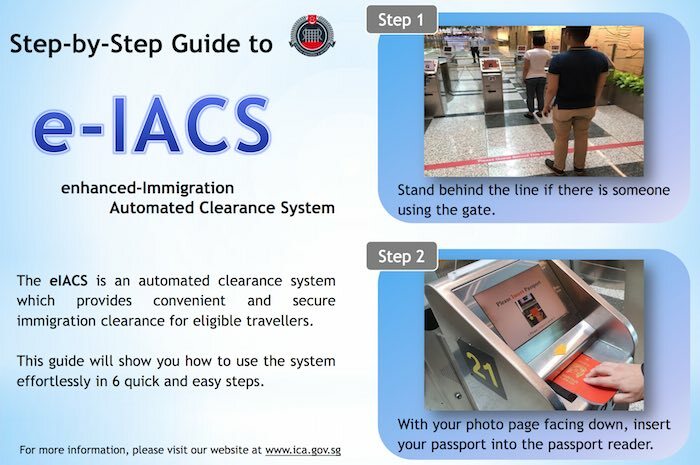 The JB extension to the Singapore MRT (whenever it finally gets started and then completed) will use this improved process of clearly both customs at the same time. Frankly I find the KTM website too confusing to use. You may also purchase tickets via this site. Even on this site you have to be careful to get the right ticket (the results will include some that are not going between JB and Singapore – maybe that will be fixed when you look, but be careful). This is a video I shot and posted that shows a 360 degree view of the Johor Bahru CBD. It gets more view than some of my more popular posts. * new to the top post list this year. Once again the JB Arts Festival is taking place in Johor Bahru. The Johor Sketchers will be collecting stories from the people of Jalan Trus, Jalan Pahang, Jalan Dhoby and Jalan Tan Hiok Nee and doing a ‘sketchwalk’, in which they sketch scenes of the city on location, live. Stories will then be exchanged for postcards with sketches of downtown buildings and scenes, and these stories will be displayed on a Story Map Mural inside the Thinkcity Office on Jalan Pahang. The festival has already started and runs through October 8th. 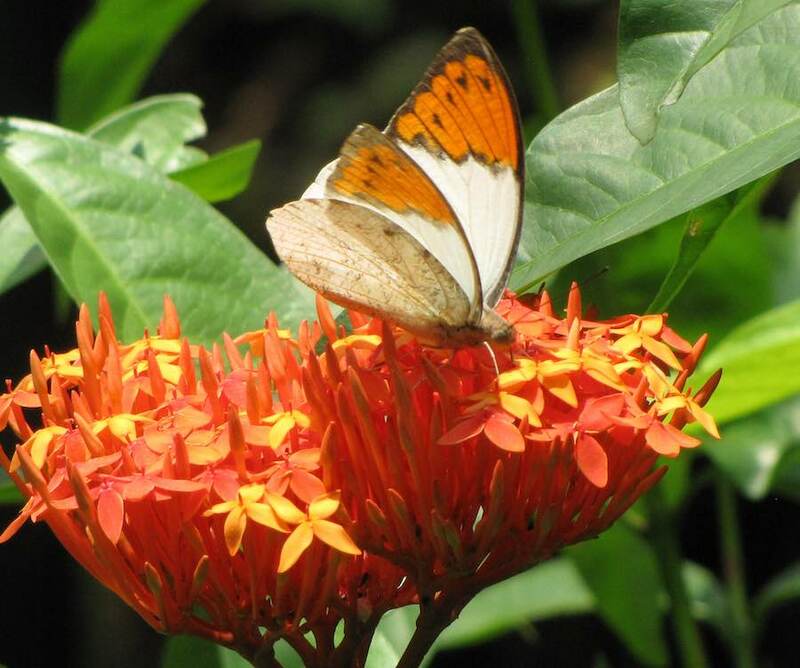 The Kuala Lumpur Butterfly Park is located in the Lake Gardens area which includes the KL Bird Park, National Mosque of Malaysia, Islamic Arts Museum, etc.. 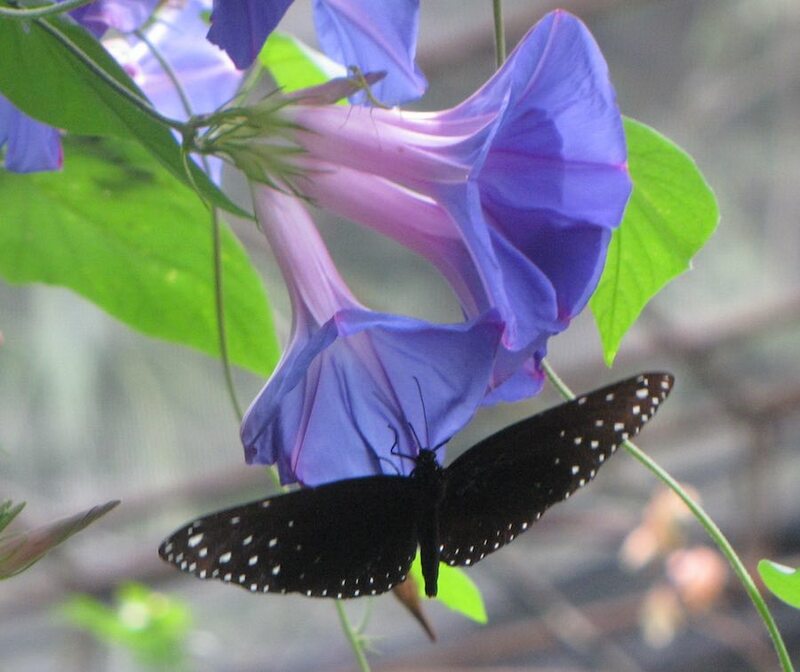 I like butterfly parks so I enjoyed it. 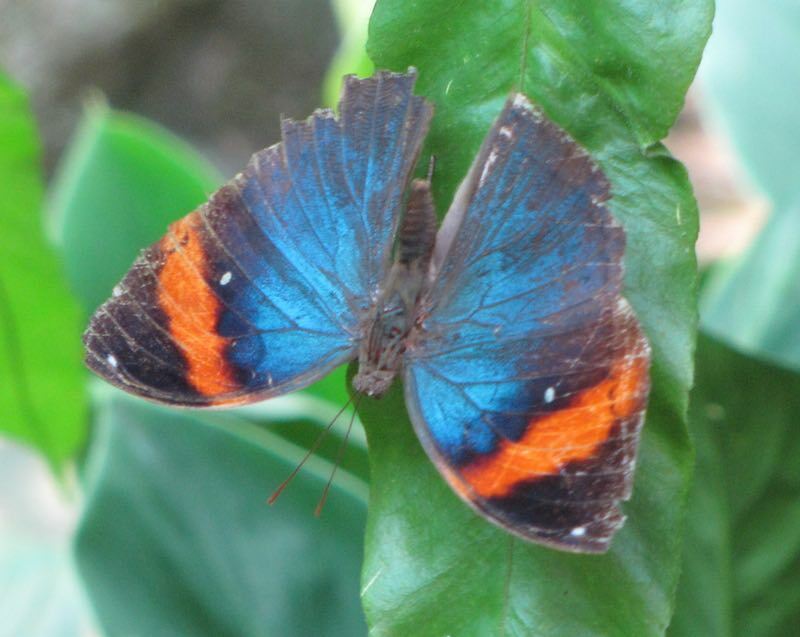 It was an impressive butterfly park but it is also pretty much what you expect if you have visited several. If you enjoy them then I think it is well worth a visit. If you don’t know, it is a good one to check out and see if you like them. A big part of what I enjoy is the photography so if you enjoy photography you may well also enjoy a visit. I like walking around cities to see how things feel as you walk around. I like walking in the touristy areas (often I do anyway) and also the non-touristy areas. One of the problems in walking in non-touristy areas is if they are not meant to be walked around (cars are expected) then it can be pretty boring. But if locals walk around it can be quite nice. The cat monument is hardly impressive but it is a popular photo spot nevertheless. 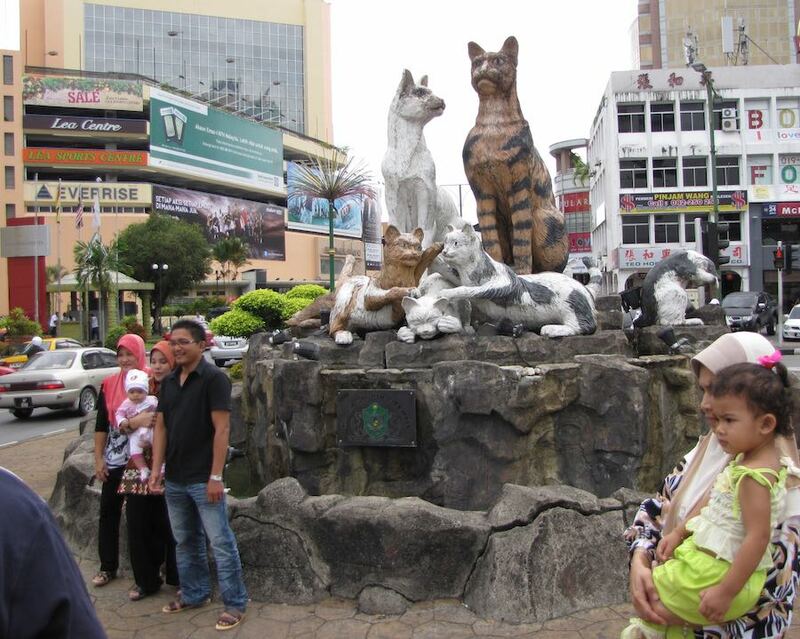 Kuching means cat in Malay (Bahasa Sarawak is the dialect of Malay spoken in Sarawak). Kucing is the word for cat in Bahasa Malay but in Bahasa Sarawak the word is pusak. There is some dispute how the name came to be but the city has adopted the cat city nickname. 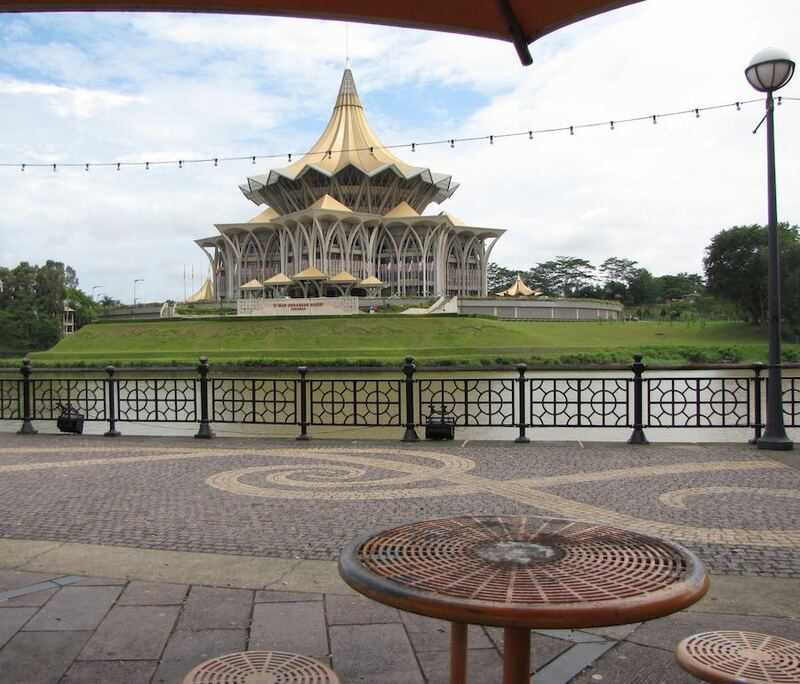 The Kuching Esplanade is in the foreground with a view of the Sarawak State Legislative Assembly building across the river (Dewan Undangan Negeri Sarawak). 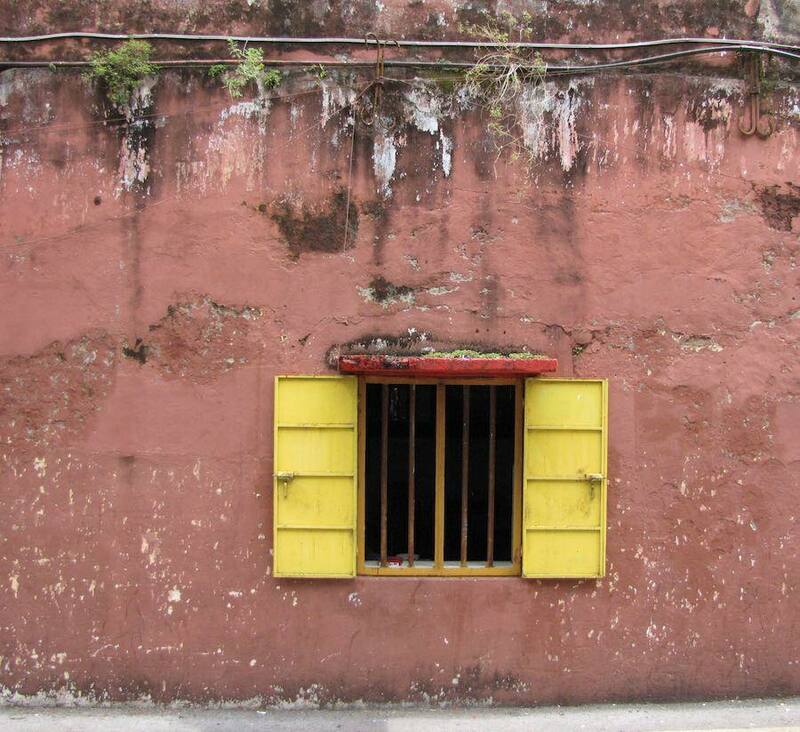 Nice wall and window on a street near the Kuching riverwalk/esplanade. The Kuching riverwalk and a bit of surrounding area are nice for tourists (and locals) to walk around and enjoy. Bloomberg TV Malaysia’s Cynthia Ng examines slowing growth in Iskandar’s real estate sector and the prospects for Johor Bahru. The report states that 650,000 jobs have been added in Iskandar between 2006 and 2014. It also references a forecast for Iskandar to add 800,000 more new jobs by 2025. The report pushes the notion that the housing market has been overdone and other areas (health care, tourism, education, banking…) should be targeted by investors. Manufacturing is a significant focus and has been doing fairly well (it is the only area with more investment than housing). I raised the issues mentioned in the report (such as the over-reliance on luxury condo development) in my 2014 post Iskandar: Present and Future (and in other posts). 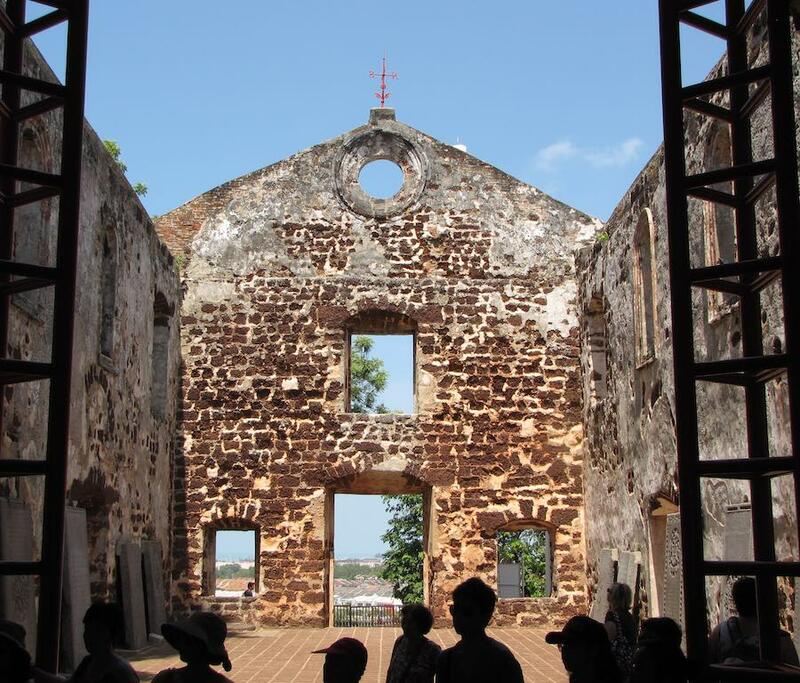 The ruins of St. Paul’s Church rest on the top of St. Paul’s hill overlooking Malacca (UNESCO world heritage site). Interior of St. Paul’s Church. All photos by John Hunter, see more of my photos of Malaysia. 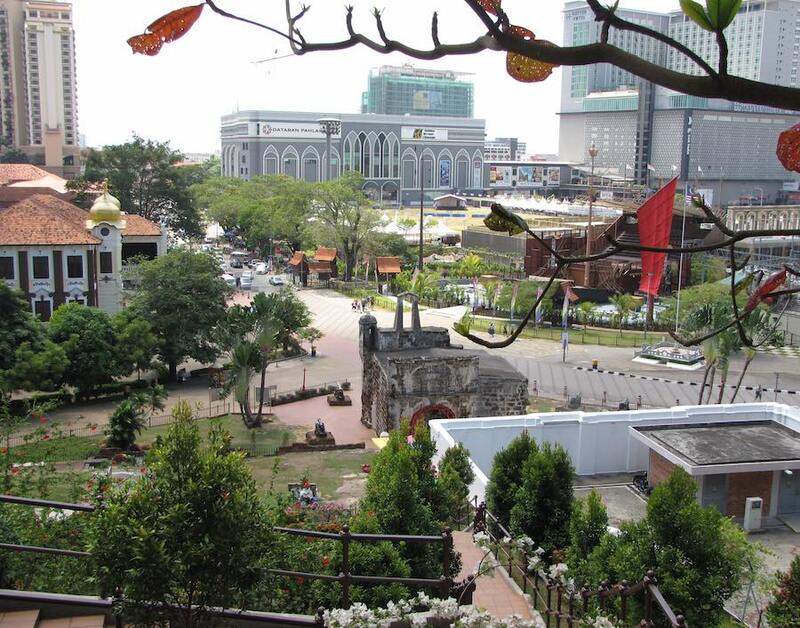 The is part of the Malacca Museum Complex comprising the A Famosa ruins, the Stadthuys and other historical buildings. Overlooking the A Famosa ruins (about in the center of the photo) from St. Paul’s Hill. The original church was a simple chapel built in 1521. The haze conditions have been bad and getting worse in Malaysia and Singapore the last few weeks. Not since the extremely bad haze in 2013 have things been so bad. 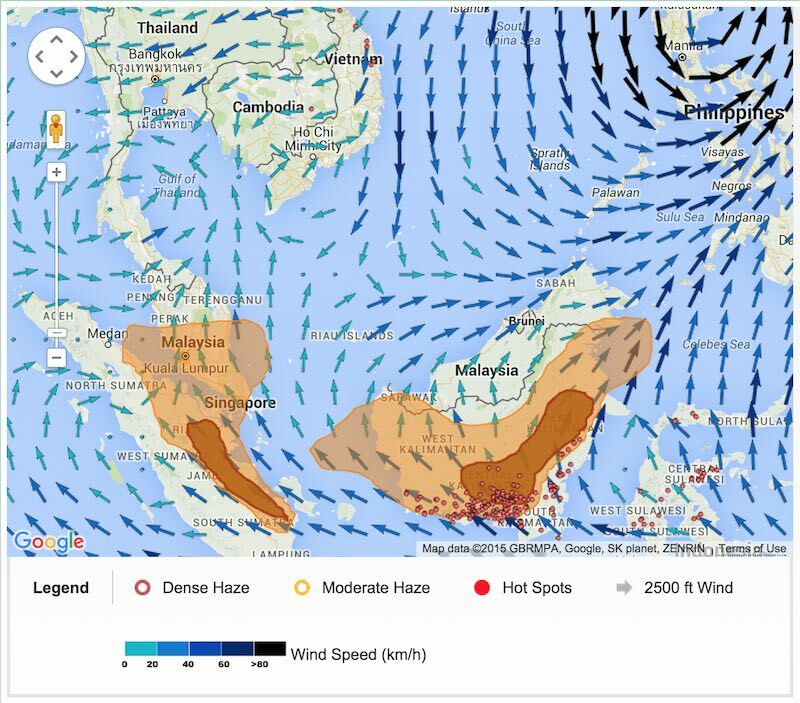 Map of haze over Singapore and Malaysia for October 18th via the ASEAN Specialised Meteorological Centre. Once again the main culprit is burning of forests in Indonesia. The map shows the darkest haze over the sources of the fires in Indonesia In the last week Melacca, Sengalor and even parts of Sarawak have had even worse pollution than Johor Bahru. From the Department of Environment of Malaysia which publishes API* readings hourly for 4 sites in Johor (as well as the rest of Malaysia). A reading above 100 is unhealthy, above 300 is hazardous. In Malaysia this week readings have been above 150 several times and above 100 quite often. Charts of Singapore haze readings, October 2015, via the the Singapore National Environment Agency. The situation is expected to continue until the rainy season puts out the fires in January. There is firefighting ongoing but it is not able to put much of a dent in the massive outbreak of polluting fires.